Leading up to the start of the fall semester, FIU News will be highlighting standout members of the Class of 2022. Starling is the only member of FIU’s Class of 2022 to receive the prestigious Horatio Alger Florida Scholar Award. The room erupts in applause. Starling then recites his original poem, “Boys Don’t Cry,” which challenges the hyper-masculine rules men are expected to follow. It’s a snapshot of Starling’s past: A childhood spent trying to find some semblance of comfort and calm in the midst of emotional and verbal abuse. Starling found sense in his chaotic world through taking everyday objects apart – and then putting them back together again. He got his hands on everything from toasters to old telephones. “Much to the chagrin of my mother,” Starling remembers. Tinkering with objects, however, set him on the path to mechanical engineering. The only member of FIU’s Class of 2022 to receive the prestigious Horatio Alger Florida Scholar Award, this fall, Starling will begin his studies at the College of Engineering & Computing. “I want to focus on aviation and analyzing and constructing new aviation technologies that will lead us into the next generation of flight,” he said. His childhood spent fascinated with technology is his primary reason for pursuing a career in a STEM field. However, he has another important reason: African American men are highly underrepresented in STEM – especially mechanical engineering. Starling also extended his desire to deconstruct and re-construct to language. “As I grew older, so did my confidence, and I really began to find my voice in the form of reading and writing,” Starling said. In high school, he joined a writing club. By his sophomore year, he’d already published his first book of poetry Beautiful Poems for Lovely Children. This summer, Starling was selected to be a part of Bank of America’s Student Leaders program. The young poet also stepped into another role – leader. Starling became involved in many extracurricular activities, community service projects and served as president of both the Black Student Union and Student Government at his high school. This summer, he was selected to be a Bank of America Student Leader and participated in an eight-week paid internship volunteering with local non-profits. As a part of the program, he attended a Leadership Summit in Washington, D.C., to learn more about how government, businesses and non-profits work to address community needs. 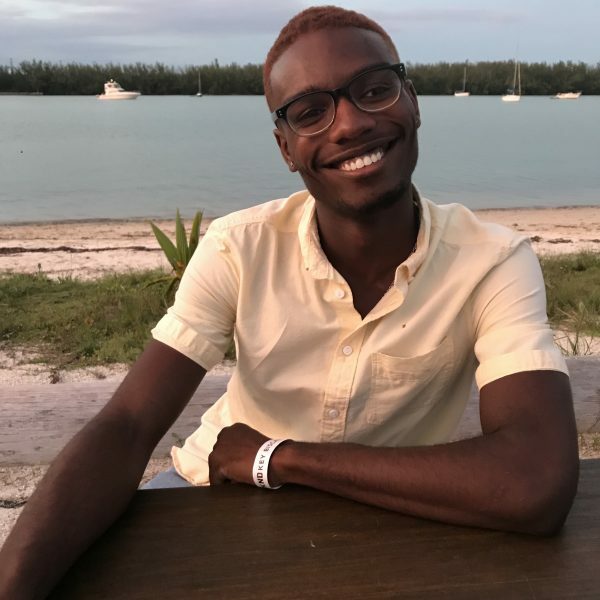 In 2022, Starling hopes to be on a stage somewhere sharing his poetry – and announcing that he has just graduated with his bachelor’s degree in engineering from FIU.